Something a bit different today; I didn't use to review clothing, but recently I changed the description in my "contact me" tab saying that I would. I was pretty happy when a short time later I was contacted by Sammy Dress! Communication with the company wasn't exactly the smoothest, but I was surprisingly pleased with the items I received. I'm very honest in my reviews, so I'll tell you everything that happened. They asked me to choose a few things, so I did. Then came a long drama of finding things that were in stock - something I found quite annoying and time-consuming. They don't have a note next to the product saying whether it's in stock or not, which is quite a problem (on the upside, their site is very user-friendly and easy to navigate). I ended up just emailing them a list of things that I liked and they told me which ones were in stock. It took about six emails to sort that out. Then they wanted me to put their banner up in my sidebar, and I wasn't keen on doing that until I had received the goods and knew that it was a company I wanted to endorse. I said no, they asked again, then again. In the meantime I had done a bit of a background check on the company and found plenty of shocking reviews - based mostly on the quality of the clothing and the long delivery - in some cases the lack of delivery. I told them again that I wasn't going to put their banner up until the items arrived (for all I knew, they wouldn't) and added that if they didn't want to go through with the review it was fine by me. They gave in to stubborn lil' me and said they'd send the package. By this stage I was quite a bit put off them and wishing I hadn't replied to their email. I decided to wait and see what the clothing was like once it arrived, and didn't have high expectations. I wasn't looking forward to writing my first 100% bad review. But then the clothes arrived... and I love them!! Just realised I should have probably ironed this before taking photos... oops! I was actually so shocked. I got two items of clothing; one the cute little dress you see above. It's a gorgeous floaty chiffon dress, and I will be wearing it regularly (even though it's turning into winter - leggings and cardigan it is!). 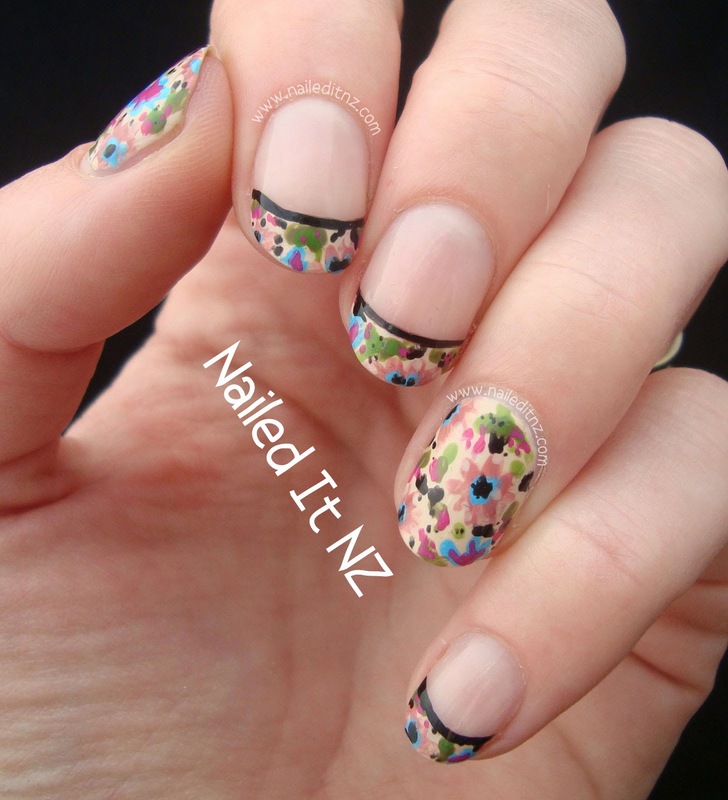 Floral patterns are my favourite, and I decided to copy the design on to my nails. I loved the nails, too! More photos of them coming soon. 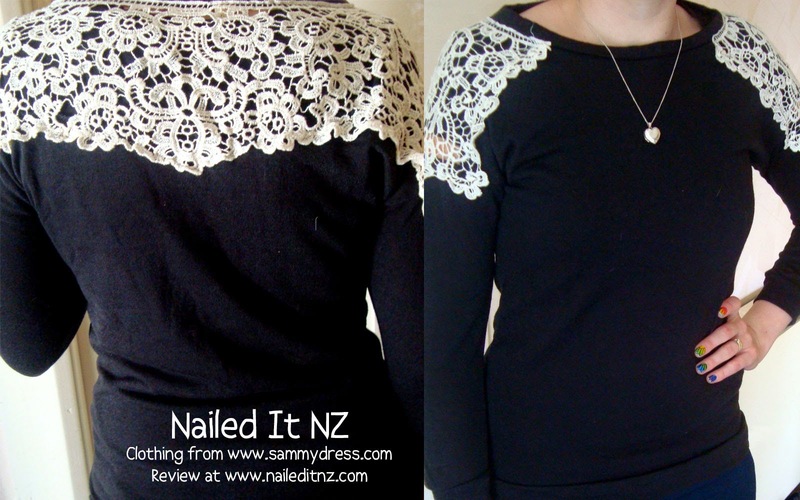 The other item I received from Sammy Dress is this black, light jumper. It's got crocheted detail at the top and back and I really like it. It was a wee bit small, as it only came in one size, but it's still wearable. The sleeves are a bit short - I'm not sure if they're meant to be that way or if I just have long arms. Probably long arms, I'm 173cm tall and everything tends to be a bit short for me. So basically, it was a happy ending. The dress was my fav - I have no issues with the quality of it, I love it, it is gorgeous, end of story. The top's not the best quality, but it's no worse than I'd find in the likes of Valley Girl or Mirrou in town. And the other thing is, that this place is cheap. Really cheap, although I hear shipping does screw it up a bit. The dress (without shipping) is $11.95 US, and the top $7.22 at the moment. So yeah, cheap. I do recommend checking it out, but don't go nuts and spend $200 at once. Make a couple of small purchases and wait for them to arrive, so you get an idea of what the waiting time will be (and shipping cost, of course). My stuff took about five weeks to arrive, which I'm okay with - most things from Asian shops take a while. The dress I have can be found here, and the top is here. Of course, I can only speak for what I've seen myself from Sammy Dress, and I'm being pretty transparent. If the next things they send me to review are terrible, I will not hesitate to tell you. I value my blogging reputation more than any clothing. However, I am cautiously optimistic ☺. 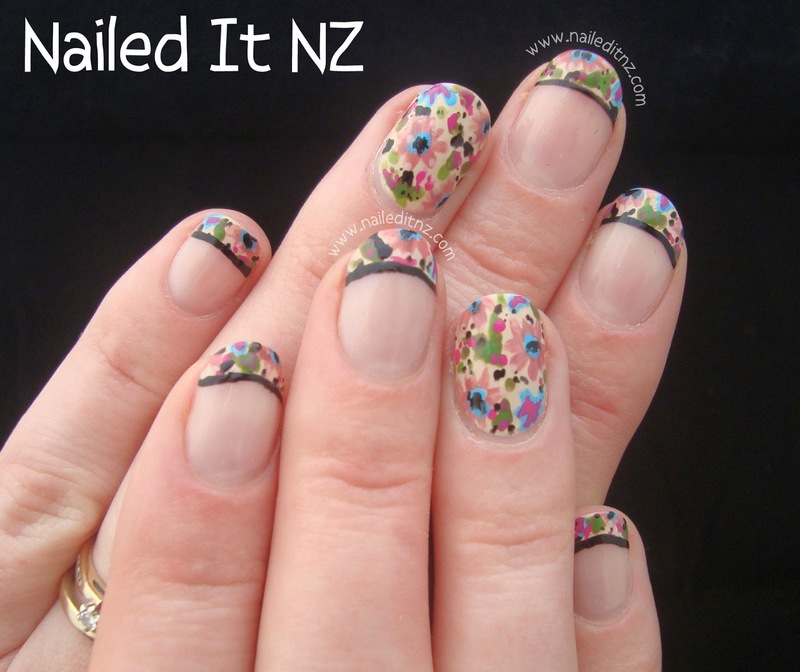 And so that concludes the review part of this post, now check out the pretty nails I did to match! Just a couple of photos...! Anyway, so this was a bit of an unusual post, but I hope you found it interesting. I will be incorporating more clothing posts into my blog as, a) I lost weight and can fit more things, b) It's an awesome way to get inspiration for nails and c) Um, free clothes! I spend a lot of time blogging and it's nice to get something out of it that I can wear ☺. Rest assured though, that there will always be nails to go along with these posts. 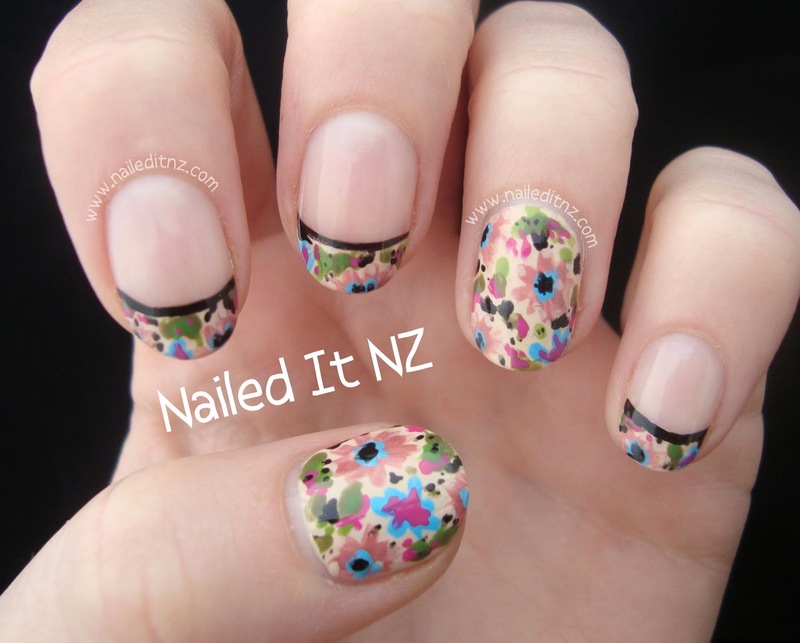 This is a nail art blog and always will be. Great review on the clothing! 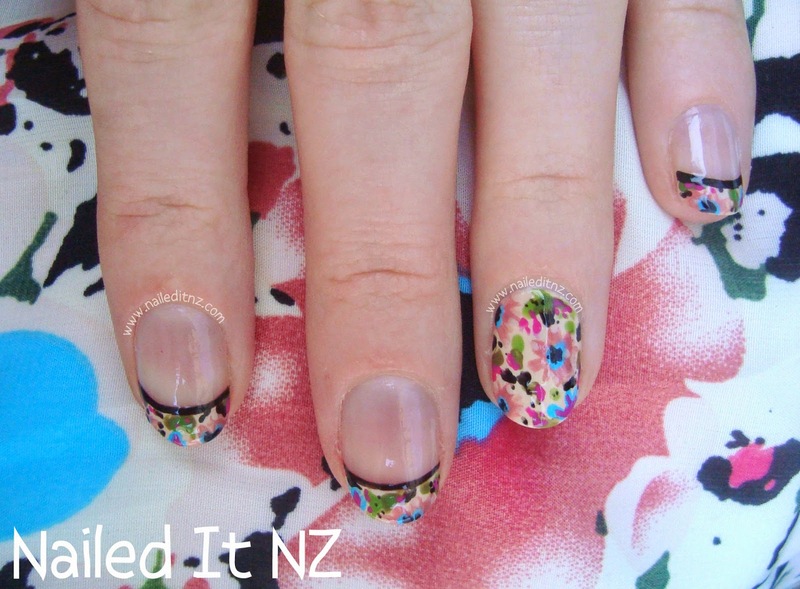 I really like that nail art you did inspired by it too. I came to see the clothes and stayed for your gorgeous nails! Good review and I'm glad I can trust you to be transparent. And top marks for sticking to your guns!! Gorgeous mani and the clothes look fab on you. I was contacted but was put off by the fact that everything was one size.When you're a size 20, one size does definitely not fit all. 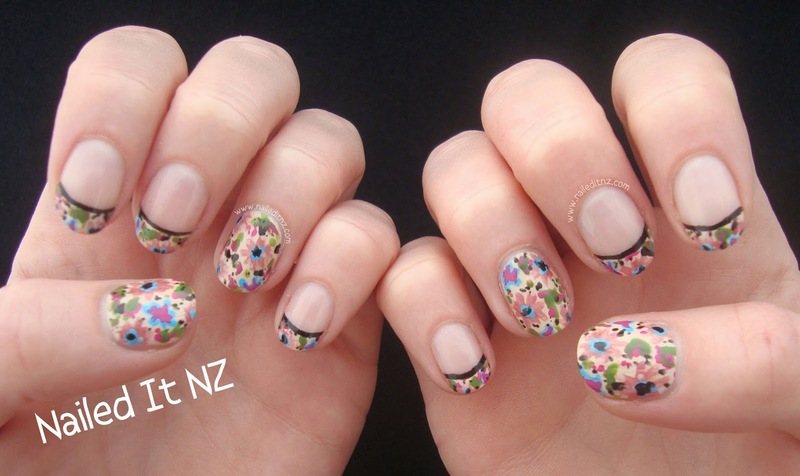 Jessie, I can't wait to see more of your lovely, fashion-inspired nails! Those are my favorite type of posts. 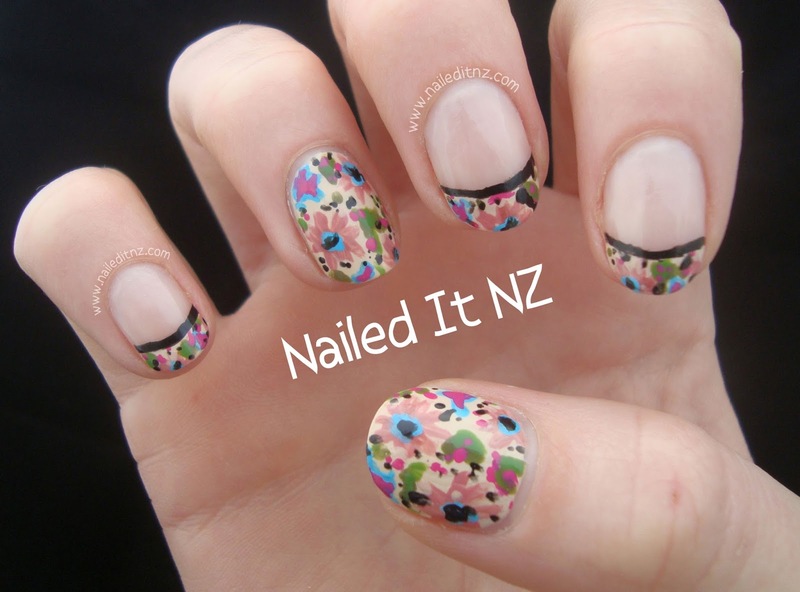 I hope you still have time for it in your busy schedule with your nail school duties! I love how honest you are! 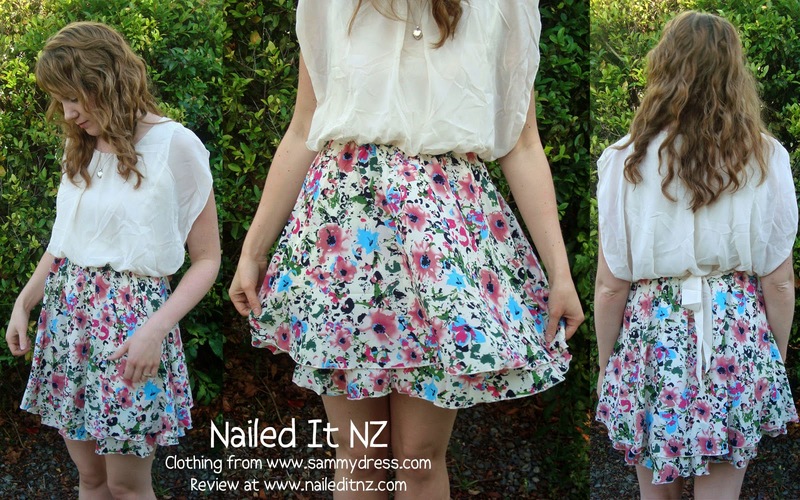 Great review, I really like the dress on you. I'm Training as a Nail Tech - Why?